After 5 yrs of talking (& more talking) about it, I finally launched woke up on New Years day at home in Sugar Land, TX and launched my YouTube channel. I filmed my 1st video on my MacBook pro in my parent's bedroom & my 2nd on an iPhone on top of my dresser in NYC. I had no idea what I was doing..like zero. All I knew was that I had something to share and wanted to get started. 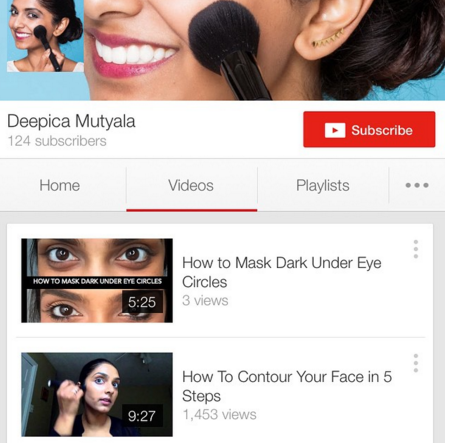 And now...more than 40 tutorials, 40K subscribers, & 9 million views later, here we are! Can't wait to continue growing my channel with you all - so many more tips and tricks to share! I love my YouTube channel and it is definitely my priority, but sometimes I want to share more beyond what I say on my channel like swatches of products I use or details for a giveaway - I'm happy with what I was able to kick off this year but excited to give the blog more focus in 2016! I was in a meeting at work when I got a gchat from my co-worker telling me that I'm about to go viral. Had no idea why until she sent me a link to my 2nd video upload (yes, that same one I shot on my iPhone the wrong way) on masking dark under eye circles using a red lipstick was up on BuzzFeed. 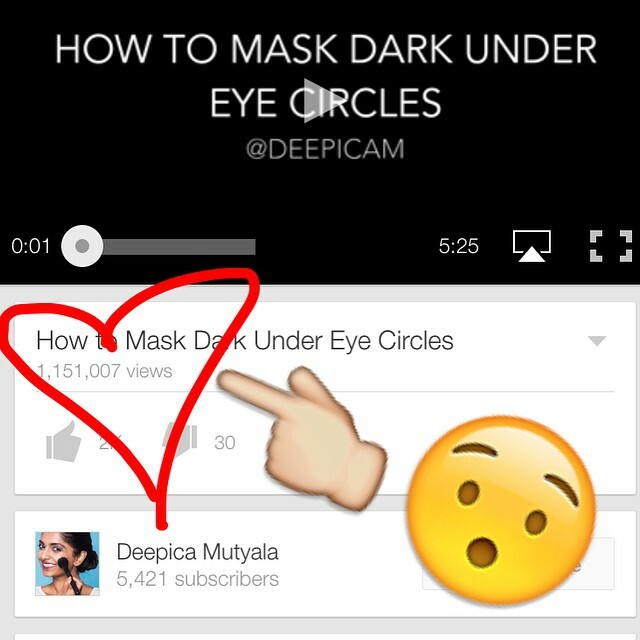 Before I knew it, my video hit a MILLION views...like with an M. I didn't understand! I was just excited to get a thousand views on a video. At this point, I didn't even activate my ad revenue on YouTube because again...literally had no clue what I was doing. My video was eventually the 2nd most trending story on BuzzFeed! I was that little girl watching TV and dreaming of one day being on there. It just felt impossible - there wasn't really anyone who looked remotely like me doing it so how could I right? Wrong. If I let that voice in my head get to me, I wouldn't be where I am today. After my video went viral, I got the email of a lifetime from the TODAY Show, one that made my heart completely sink. 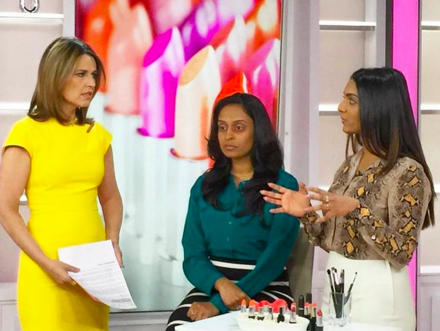 They asked me to come on and demo my red lipstick trick live on air. I don't think I'v ever been more excited for anything in my life. I was on a complete high during my first appearance. My dad and sister flew up and I somehow convinced my sister to be my model for the segment! Note: she is in the medical world along with everyone else in my fam - this sort of stuff was not her jam but I'm so happy she did it! Made the moment that much more memorable. A car with a sign saying my last name picked me up at 4 a.m., took me to 30 Rock straight into the hair and makeup room of the hosts, and I sat there waiting for Savannah Guthrie to come in so I could test my makeup trick on her - it was so much fun! Then, I met my dad in the waiting room where Kid Rock (yep.) was casually waiting as well. The weird thing was that I wasn't nervous at all! I felt like I was in my natural habitat just chatting with my girl Savannah (lol) about beauty tips. The segment was done before I knew it and it was a huge rush! I had a major pinch me moment afterwards when a senior producer for NBC came and asked me to come back regularly (of course my dad was in the background basically in tears video taping the whole moment...will have to share that video with you guys one day). 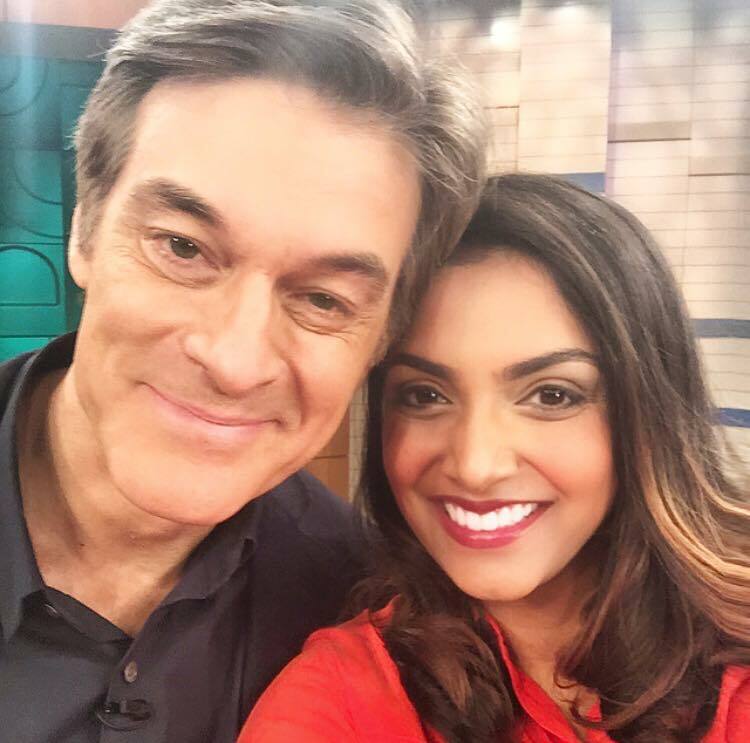 Since then, I've been on Dr. Oz, back to the TODAY Show a handful of times, and now an official contributor for them! I love doing T.V. and definitely plan to continuously do more in 2016 and beyond! RACHEL ROY: I remember working at Birchbox and being asked if I would ever leave (bc everyone knew how much I loved my job and figured I'd stay forever and ever). My response was always the only way I saw myself leaving was to a. go to business school and appease my parents b. work directly for Rachel Roy c. start my own brand. When I got an email from Rachel's team that she wanted to meet with me, I basically lost it. I had just been talking to my friend about how I need to collaborate with her. Meeting Rachel was a dream come true, but having her tell me that she's proud of me and wants to work together was a moment I'll never forget. For me, Rachel was the only brown girl I saw in the media that made me feel like it was even a little possible to reach my dreams. Being able to meet her, tell her my story, and oh yeah have the most fun selfie session ever, was surreal. I'm proud of what we've worked on together this year and can't wait to continue empowering women through fashion and beauty with more collabs! 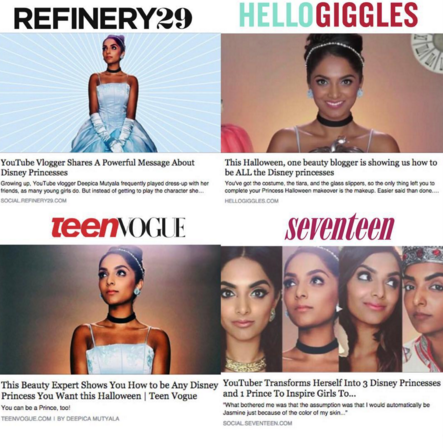 The #BeYourOwnPrincess Project is all about loving yourself as a person beyond ethnicity or gender. The video means the world to me because it's a reflection of experiences I've had growing up. My hope and goal was that by putting out this video I would help others realize that they are perfect exactly the way they are. Stop worrying about fitting in because it's way cooler to stand out, a message I wish I realized growing up. One of my MAJOR bucket lists goals moving to Manhattan was to live in the West Village! I know, so stereotypical, but hey...the Carrie Bradshaw SATC dream is a real thing for girls! I quit my job to work for myself the same year that I decided to move to Perry St. and live by myself in a studio apartment. I will be the first to admit that going from working with an office of my best friends and living with a best friend (which I have every year that I've lived in the city) can be lonely, but it's also taught me a lot about myself. I'm so thankful for this experience and being able to walk out of my little baby dungeon West Village apartment everyday and frolic/get inspired by the West Village! My whole life, my weight fluctuated - I mean I was the definition of a yo-yo'er! It was the cause of so much life frustration. I was always down on myself because of it so I made a New Year's resolution that was different from my previous weight loss goals - this time it was to to finally stop fixating on it so much. With that goal in mind, my life sort of took a turn. I went out to eat, ordered a glass of wine, maybe got dessert, and didn't beat myself up about it. Without consciously realizing, I started running. What started as a small hobby to prove to myself I could do it, turned into an addiction. I started running from my apartment in the West Village to the Freedom tower. It was my way of getting fresh air and out of my apt since I stare at my screen so much during the day being that I work from home. The distance was exactly a 5k and that was basically the summary of my entire work out. This is coming from a girl who was an avid Soul Cycle and Barry's Bootcamp attendee, but then I realized ain't nobody got money for all that, and found a new hobby that ended up being my saving grace. Between running, taking some fun work out classes, and just living LIFE, I've lost 20 pounds and feel (key word being feel) better than ever! Reflecting on this past year is surreal. Thank you from the bottom of my heart for 2015. Biggest lesson learned: Just because something hasn't been done before, doesn't mean it can't be. Be the game changer that paves the way for others, and don't ever let anyone (including yourself) tell you it's not possible because it is. Period.